Museum Folkwang is presenting the Looser Collection from Switzerland in dialogue with works from its own collection. Established by Hubert Looser, this compilation of modern and contemporary art is one of the most significant collections of its kind in Europe, comprising a large number of outstanding works of Surrealism and Abstract Expressionism, Minimal Art and Arte Povera. 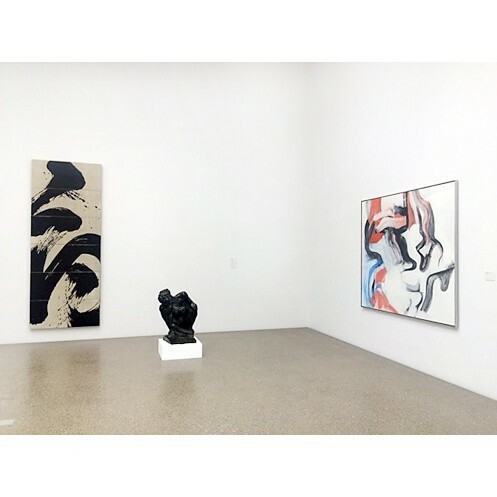 The dialogue with paintings and sculptures from Museum Folkwang’s own collection results in many kinds of interaction; it highlights artistic concepts and themed exhibitions which are in similar veins: painting gestures, lines, processual character, materiality, minimalism and spirituality.